It had been that smell. That freshly washed ozone smell that comes after hanging laundry outside to dry on a crisp winter’s day. He would never forget that smell. And there was the softness too. It had reminded him of that perfect, that one single happy day in his life. He’d been allowed to stay back from school because of his sore throat, his sore head, his sore everything else. His mother had pushed the two armchairs together to make a sort-of deep enclosed cot, in front of the only open fire in the house. Into that she had piled the feathery pillows, lifted him into this mountain of softness and, smothering him with kisses, she had tucked him in with a soft, warm blanket. She had had time for him that day. Had sat beside him, taken him onto her lap, read him stories. Endless mugs of hot chocolate had disguised the bitter taste of the cough mixture. He had fantasized about being in a boat, lined with luxurious down-filled cushions, bobbing on tiny, gentle waves. Or cushioned on a huge fluffy cloud, floating in a wind-less sky. He had always thought of that day as the most special day of his life. Even now, when he was alone and not under pressure (which was not often these days), he sometimes thought back to that day. It had all been downhill from then onwards. He had learned to be tough. To be hard. To fight for what he wanted. That was the only way you’d get on these days. He’d learned to not show his feelings, and to be insensitive to those of others. It’s a cold, cruel world out there. You need to be tough to survive. Right from the moment he entered school – age 5 – he had known that. How they had ridiculed his drawing of the fluffy cloud. How they had laughed at his explanations of floating in a wind-less sky. No, he knew better now. He knew how the real world worked. How the strong survive and the weak go under. By the time he’d reached his final year of primary school, he knew the effect of his power. He was King of the Schoolyard. Everyone was afraid of him. And he could do what he wanted. Nobody dared to contradict him. And nobody dared to snitch on him either. They were too scared of his retribution. But all this power had crumbled the year after – his first in secondary level. It was like being kicked back into childhood again. Being teased and ridiculed, just like in early primary, when he drew pictures of clouds. The older boys had treated him as if he was some innocent or something. He’d show them. So he had become the tough boy. The one who always dared. The one who always thought of some new clever game to show up the weak from the strong. To humiliate the sissies. Teach them a lesson. It became easier over the years. At first he made small threats, to get something that belonged to others. A chocolate bar. A toy. It was a game, initially. Just to prove to himself he could do it. But the fear he triggered in the eyes of others became kind of addictive. It gave him a sense of power. No more mushiness about floating clouds or bobbing boats. We’re talking reality now. He could get anything he wanted. So what was the point of going to school? What was the point of learning all that useless limp-wristed namby-pamby? Nothing that would be of use to him anyway. Only wimps were concerned with literature. Culture me arse. Spineless crap was all that was. He’d spent his school hours roaming the streets. Nicking bikes to sell on for hard cash. Snatching handbags. What they call petty crime. His mother had her own problems – alcohol mainly as far as he was concerned. She hardly noticed him if he came home. And she never asked questions. So he started hanging out with those tough guys. He knew they did drugs. But not him – he stayed clear of all that. Had seen the pitfalls. And the consequences. Not for him the miserable life of a junkie. What he wanted was big cars, fancy clothes, fine women. Only he wasn’t too popular with the latter. He’d rob a car easy enough and shoplifting the designer gear was no sweat. But with the women it was different. And that’s what had caused all the hassle. That night, he’d had a few pints. Perhaps the alcohol had given him courage. Or perhaps she had pushed him too far. Yeah, that was it. She’d given him one of those looks. So when he saw her afterwards, in the street, he’d assumed that she was all on for it. He was quite wound up – it had been a long time. It’s when she suddenly, out of the blue, said no. He didn’t at first understand what she was on about. Sure, hadn’t she shown how keen she was? But when she started struggling to get away from him, he became angry. And he knew instinctively what to do. How to make himself feel strong and powerful. Like in the schoolyard of sixth class. He remembered how easy it was to force them to give him what he wanted. One thump and she was like putty in his hands. Sure, wasn’t he the King of the Schoolyard? He wound up at the station. The guards were rough with him but he didn’t mind. He was unyielding. Standing up for himself. They locked him up in one of those cold cells. No windows. Not even a tiny one. But he didn’t care. He was well able to cope with this tough side of life. There was a small wash-hand basin in the corner, and a bed on the other side, with a pillow. 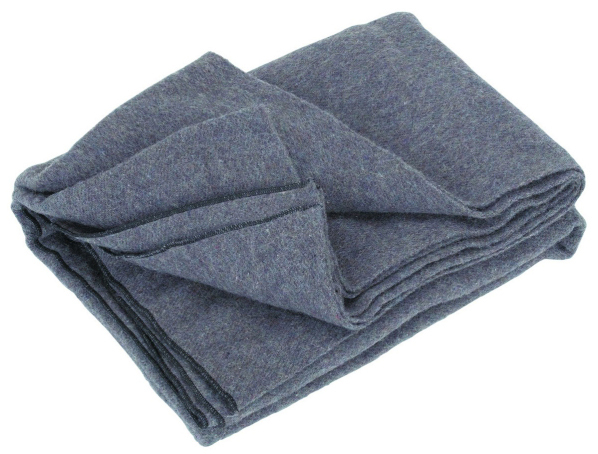 And a folded blanket….